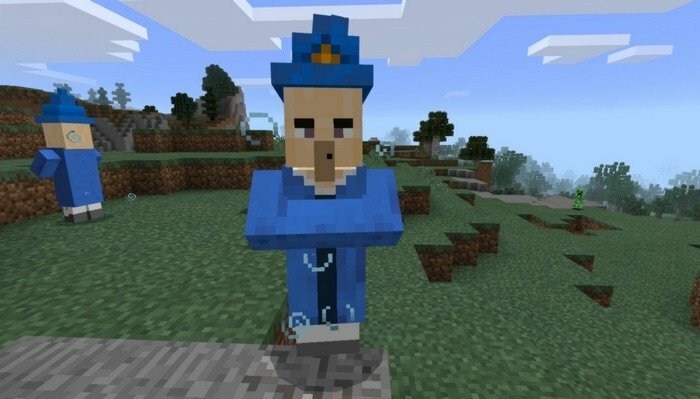 Wizards are powerful mobs, that will defend villages and eliminate any angry mob on their sight. They will replace witches - which is good too, as their being really annoying sometimes. 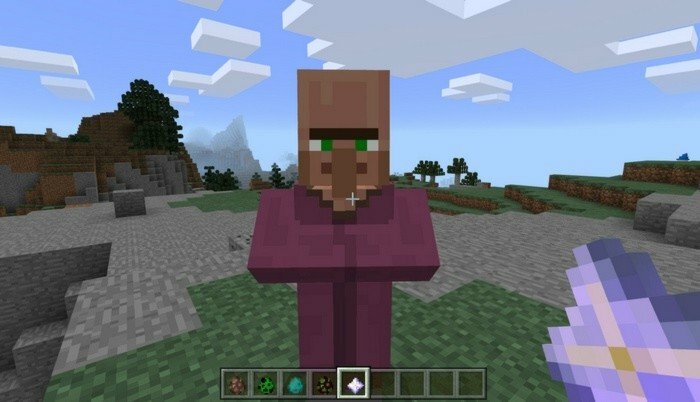 They have some chances to spawn in villages or you can just transform a regular villager into a wizard by giving him Nether Star. 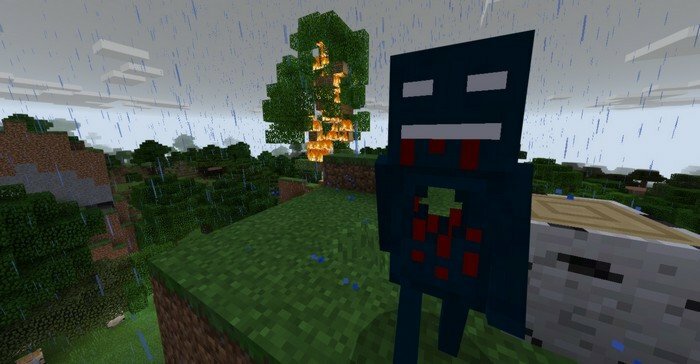 Wizards is one of the most powerful creatures in the Minecraft PE 1.0.4 and will kill even a pack of mobs. They will throw fireballs instead of potions, so be careful and don't stay in the line of fire. 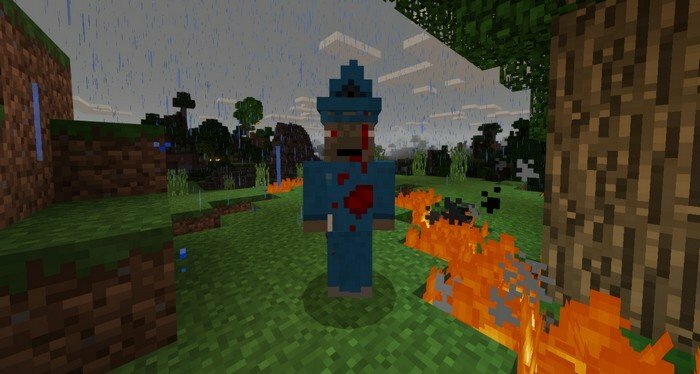 Zombie Wizards will replace Wither Skeletons, they are some kind of an evil antipode to Wizards. They are aggressive towards player and Wizards, and will constantly throw fireballs untill you're dead. Acolyte is a former Skeleton, he won't shoot arrows at you, instead he will set you on fire in melee combat. When Wizard dies, his soul goes to the heaven and his body becomes an Acolyte. 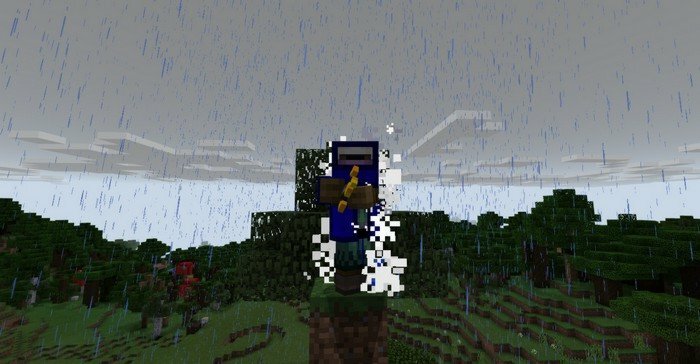 You'll be able to become a magician too, just put on Wizard's Robe (Chainmail Armor) and take a Magic Wand (Bow and still need arrows) to throw lightning bolts on your enemies heads.